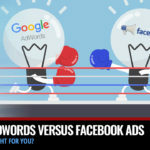 Facebook or Google: Which ads work for you? How do you know where you should be investing your time, money and effort? Should you be spending this year's marketing budget on Facebook or Google advertising? Today, I'm going to help you decide which one might make the most sense for you. A real estate agent's typical marketing budget has functioned a little bit differently over the last few years, (or at least it should be). Flyers, signs, postcards and the like might still be useful in some cases, but there typically isn’t a way to see if they actually work, beyond asking prospects directly and keeping a tally. - Associate you with an area. - Put a name to a face. - Then maybe, just maybe contact you. But how effective is this "ad", with all the clutter of mail can be so easily missed, or tossed in the garbage? Or, when a web search can find them everything they need exactly when they want it, paired with reviews, information, photos, and just about everything else they might need to make that decision, to contact someone? An agent's typical marketing budget should function differently nowadays because the world of marketing has drastically changed thanks in no small part to two tech powerhouses: Google and Facebook. 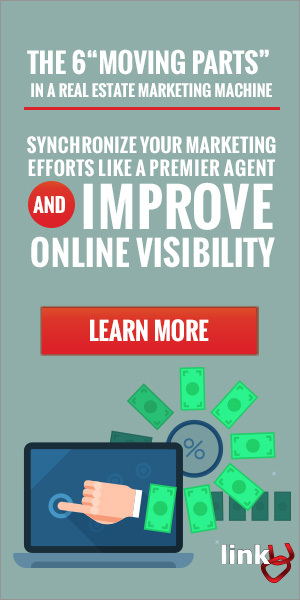 While using your flyer and postcard money on online advertising may feel a little unfamiliar to most of you, (maybe because you can’t quite feel the card stock with a digital ad), it does offer the benefit of actually knowing who has given it a glance AND whose interest has piqued a bit further. Clicks and impressions are the names of the game and they provide enough context to let you know if you should pursue a little further or reconsider your ad copy, ad photos, or your entire strategy. It’s a quantifiable way of marketing helping to eliminate the guess work since there’s really no way of knowing if that picket sign on the busy street worked. But there is a way of knowing if your "free home value" ads and landing page had made anyone curious enough to submit their address (okay, now you can send the postcard). 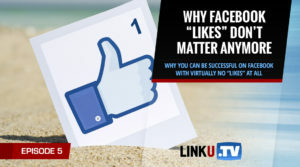 HOWEVER, you cannot just drop a random sum of money into Google or Facebook and then see results, there are a few key differences between the services that may or may not work for you. Each has strengths and weaknesses that vary depending on the business (especially relevant in real estate). Let’s dive and see how they compare! PPC, Paid Search, Keywords… A little overwhelming initially, right? At its most simple form, Google Adwords comes down to paying to be displayed when certain keywords that are typed into the Google Search Bar. Each time a user clicks on one of the ads displayed the advertiser (you) will be charged the value of that word. Some words carry more value than others due to their competition and reach, so being in tune with your audience is essential. Optimizing the whole process is tricky and requires a whole other article/lesson just to understand the fundamentals. It is very easy to spend in the wrong places when it comes to Google Adwords if you’re just starting out but once you get the gist of it and find the keywords that work, well… it can pay dividends. Some of the key benefits to Google Adwords are obvious from the get-go: The audience pool you have with the service is HUGE. Google is a company, a service, a noun AND a verb. Everyone knows it and most use it, thus the ability to be present to your targeted audience (again, if done correctly) is an essential part of the service. You can also get deep into the specifics as the measurement tools are very detailed. Region targeting, time of day your ads display and complete budget control with no frills are all part of the package. 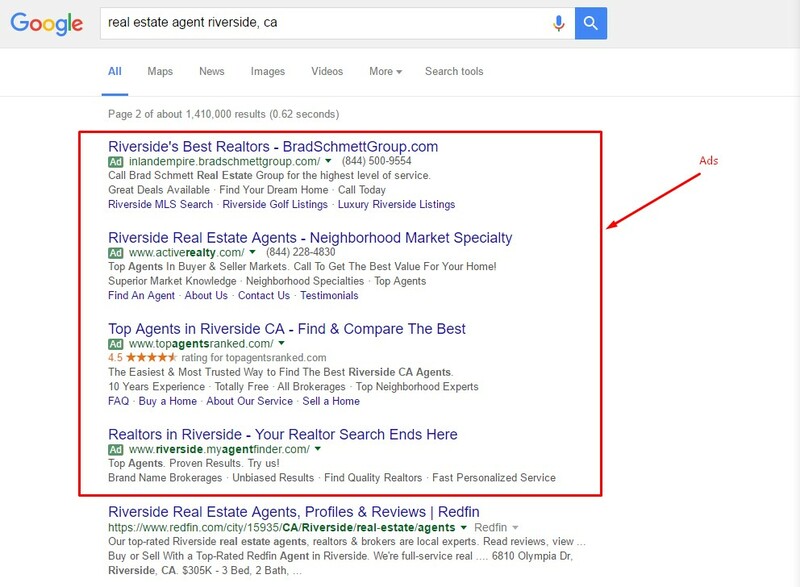 With Google, you aren’t just targeting those who are actively looking for what you’re advertising. The great part about this is once they're in the "search" stage, they are much closer to making a decision. These can be "hot" leads in many aspects, however, you can only scale to the size of the market. That means, then at some point you can't get any increase in visitors, no matter how high your budget is. This is because, there are only so many people in your area searching for a specific service, or need at any given time. 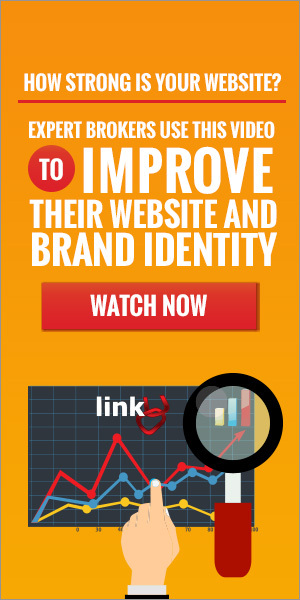 If you're in a smaller market, this can be disappointing, as traffic simply drips onto your website. However, this can also be a wonderful thing, because now you can dominate your area, without spending a fortune, unlike in higher populated and competitive areas, where you have to spend a lot to get a few clicks. The benefit, however, is more room to grow in a larger market. In either case, paid search can be a great place to find people who are "ready to go" now, or very soon. 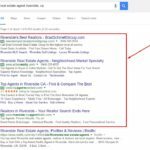 What Could Go Wrong with Google Adwords? Mismanagement of Google Adwords can cost a tremendous amount. This isn’t something that can be set up so simply and discarded while you do other tasks, you need to spend a lot of time setting up exactly where you want to spend, what keywords you want to target, how broad or how specific they should be, ad copy, landing pages, etc. You need to do a lot of keyword research and make sure your words aren’t too broad or too niche as not to completely waste away your budget or sit on words that will in no way pay out. The ads themselves are limited as they are primarily text-based, so you need to make your three lines of text work efficiently enough to get your pitch across and appeal to the user who stumbled upon your keyword. If you choose keywords that are too broad, the audience can be so broad and massive (especially for real estate), that you could end up burning your budget quickly, getting a ton of clicks and ZERO RESULTS. When bidding on many real estate related keywords, it may just cost a lot to even compete depending on your market and what types of clients you are pitching to. Adwords is about prep work and having very clear limits. The potential is there, but so is the competition and they’re not all that unique from each other. Finding a way to appear unique to your audience or stand out from the pack is of utmost importance and it works out best if you have this figured out before you tie that credit card to your G-mail address. Lucky for you, there’s another option that can help you get your feet wet when it comes to online advertising, even if the pool isn’t as broad or direct. Almost everyone may use Google but a huge portion of those people use Facebook as much or even more, though they use it a little differently. Where you would be paying Google to put you in front of clients, Facebook works in a way to try to bring the clients to you. The recommendations and exposure of your business to potential clients are based on their online habits as opposed to direct searches (people share EVERYTHING on Facebook). Facebook has roughly 1.55 billion active users, so there’s still a lot to pull from even when compared to Google (1/5th of the world’s population is nothing to scoff at). What really helps with Facebook is how well-integrated everything is: the ads aren’t obtrusive and can actually look really good if provided the right images. It still takes some finesse to really get your demographics down and if your images aren’t good or your content isn’t up to snuff then you’re going to have a hard time converting. But the right recipe will net great results, especially as Facebook is more of an emerging ad platform as opposed to Google, which is already well traversed at this point. What are the Benefits of Using Facebook Ads? Let’s go back to the big number and focus on one keyword here: 1.55 Billion ACTIVE users. For an emerging ad platform, that’s a big pool to experiment with. Because these ads are based on preferences and inquiries from the users, advertisers have a lot to work with. A potential client’s info can contain things like hometown, general region, likes/interests, behaviors, income and even if they already own a home. Because of this more subtle approach to marketing, you may be able to intercept the user early in their buying process or right when they’re ready to pull the trigger. The spectrum of interest to pull from is very broad. 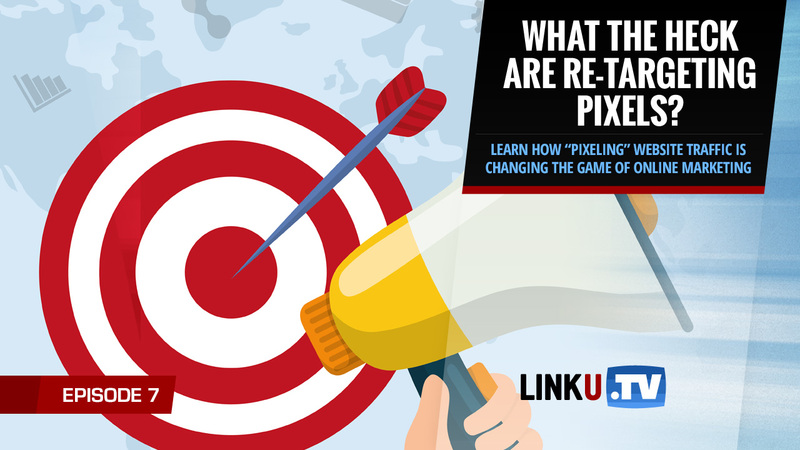 It’s been proven that people are more inclined to click on a link that has an image and thus the potential for clicks is much higher than it is for Google’s three lines of text. Cost per conversion is also cheaper (though can still be pricey pending industry/area) and the setup process is easier more user-friendly than Ad-words. While this is all well and good, there are some things to take into consideration. What Could Go Wrong with Facebook Ads? Like with Google Ad-words, you must make sure you are targeting the right people for your business, or you'll end up spending a lot of money with nothing to show for it. 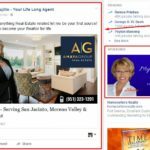 Facebook ads are inherently less direct than Google ad words and are capable of reaching users in a variety of different situations; sometimes these situations aren’t the ones you’ll be looking for. Incorrect setup or lax parameters could cost you. Creating the right visuals to present yourself also requires additional work that must be done outside the platform itself, so a keen visual eye or access to someone who can provide one is essential for making sure your ad can even stand out. Your listing photos or stock images have to be good, and they have to be yours. Because Facebook is more of a catch-all compared to Google’s keyword search, you're likely to catch prospects very early into the process, so initially conversions may seem lower, (sometimes they’re just not ready). 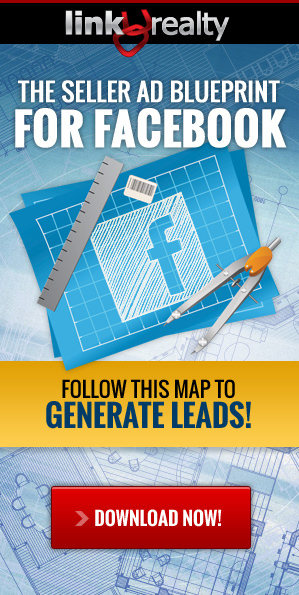 However, the upside to Facebook ads is that it can be scaled. Depending on the size of your market, you can scale Facebook ads to reach more and more people with your message, or branding, rather than waiting for them to search for you. You can also use Facebook as a farming tool, since you be more aggressive and create ads to get in front of your audience before they've even thought about buying or selling a home, just like the good 'ol days of mailing postcards! The ROI on Facebook ads is typically much higher than Google, as Facebook is just plain cheaper and easier to manage. Facebook's platform is easy enough to learn and have some trial and error that isn’t going to break the bank. 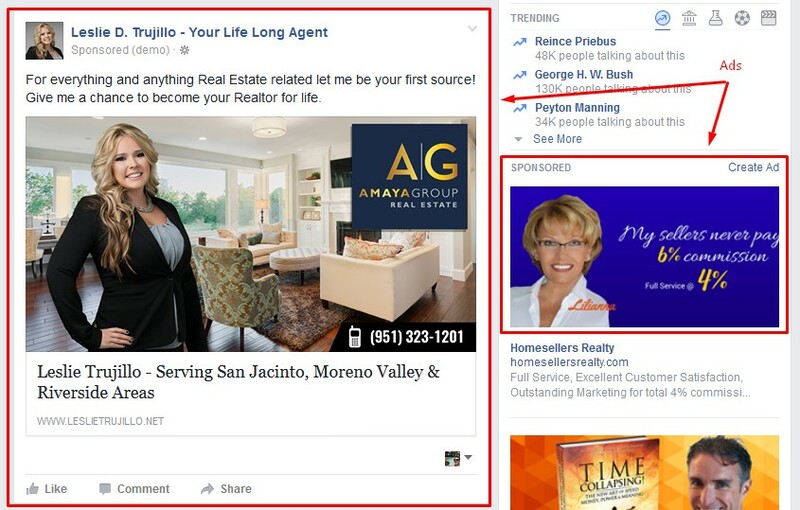 Generally, advertising with Ad-words is going to get you in front of people actively searching, researching, or in the buying or selling process, whereas Facebook ads are going to put you in front of more people who are earlier in the cycle, perhaps just thinking about it. Sometimes you'll get a "hot" prospect, if the timing it right, but it would be best to look at Facebook more like a farming technique. 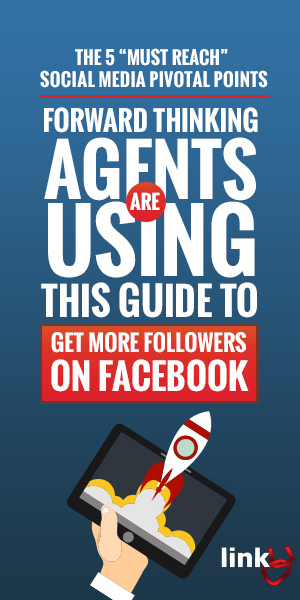 Facebook is ideal for all agents, especially those with limited marketing resources. Google Ad-words is another beast entirely but has the benefits of working directly with Google search, taking people DIRECTLY to your site or desired features and generally targeting more serious users. It takes a little more work, and far more money, but the benefits can be immediate. With Google you’re buying traffic, with Facebook you’re buying attention; how you capitalize on this is entirely up to you but being able to measure exactly how well each is working does far more for your marketing dollars than any mailbox flyer or picket sign could.